Here is an overview of the services we offer! If you do not see it listed here, give us a call. Chances are, we can help! We have worked on concerts, festivals, theater, conferences, meetings, product unveilings, dance showcases, and weddings. The audio crew can make any band or speaker heard. From 15 people to 15000 people, our line array systems can handle it all. Our video team can live stream an event, supply projectors and LED walls, create custom content, and show IMAG. 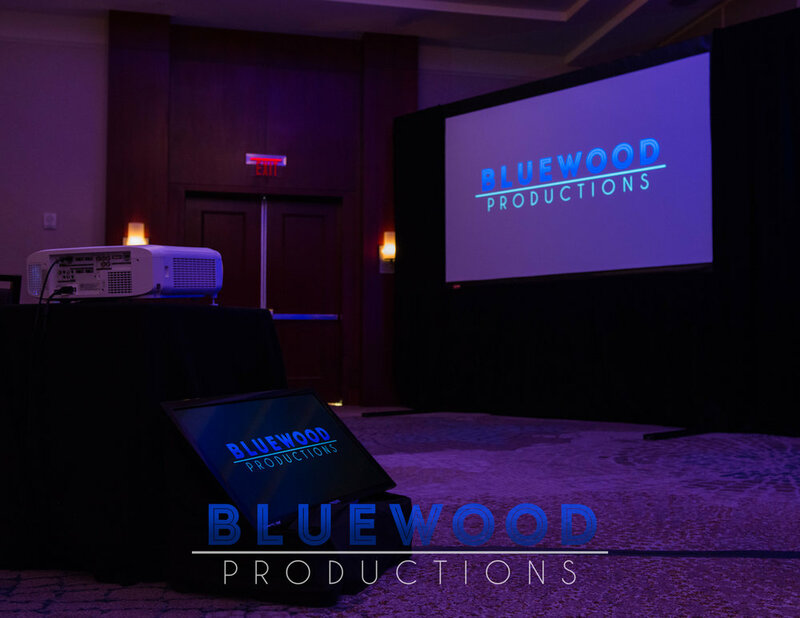 The Bluewood lighting team can light the stage for concerts, theater, or corporate. We can transform any space to look perfect for your event. We can provide staging for any size show! Black, white, red, or blue - we’ve got drape that can completely transform a room! Event Planing and design services that include pre-visualization of the layout. Our rental inventory consists of everything needed for a show. Audio and lighting consoles, wireless microphones, speakers, lights, cameras, projectors, TVs, staging, and power distribution. We even ship! Looking for new equipment? We can help with that too! We are dealers for many of the major industry brands. Our knowledgeable integrations team can put together a system to exceed your expectations.